This statement describes the policies and practices of the Young Men’s Christian Association of Metropolitan Washington (“YMCA”) regarding the collection and use of your personal information from your visit to our website and submission to the YMCA’s Tell Us Your Y Story initiative.  The YMCA is a nonprofit organization whose principal mission is to foster the spiritual, mental and physical development of individuals, families and communities according to the ideals of inclusiveness, equality and mutual respect for all. The YMCA is committed to maintaining the privacy of visitors to our website and users of our Internet services. Please review our standards below. The YMCA may collect and store information about you on an anonymous and aggregate basis. This information is used only to measure website traffic and activity so that we can continue to improve the site and provide the best services possible to our community. The YMCA is the sole owner of the information collected on this site. We will not sell, share, or rent this information to other businesses or individuals, and we do not track individual user’s visits to our websites. The YMCA “Tell Us Your Y Story” allows individuals to provide written submissions to the YMCA for publication online or in print. Individuals who submit statements to the YMCA’s Tell Us Your Y Story are voluntarily consenting to the publication of such statements online or in print and to the use of any personal information provided with such submission. Individual users of the YMCA’s websites should be aware that when disclosing personal information in conjunction with submissions to the Tell Us Your Y Story Campaign, such personal information may be collected by third parties viewing the YMCA’s websites. The YMCA makes no representations or guarantees regarding unlawful or inappropriate use of information entered in our websites by third parties. The YMCA takes every precaution to protect our website users’ information. When you use the YMCA’s websites to register for events, purchase products or services, or join groups, the YMCA collects information necessary to process the transaction. This may include your name, address, telephone and fax numbers, e-mail addresses, and credit card or other payment information. This information is encrypted to insure that your private information is transmitted in a secure fashion. If we collect information for payment purposes, it is stored and used by us or by others we contract with to process orders for that transaction only. The YMCA makes no representations or guarantees regarding unlawful or inappropriate use of information entered in our websites by third parties. The YMCA will sometimes use your e-mail address, address, fax number or other information to confirm a transaction, verify your identity, send you general information such as newsletters, or for similar purposes, either directly or through others we contract with. The YMCA will not disclose any information to third parties for any other purpose, and we will not sell mailing lists. In some cases, you will be given the choice not to have your information used for some of these purposes. In those cases, you will see information on how to make that choice. The YMCA website and many of our publications contain links to many other websites. The YMCA is not responsible for the privacy practices or the content of those other sites, and cannot monitor them. Please check with these sites for their privacy practices. This privacy statement applies solely to information collected by this website. All text and graphic material displayed on this website is the exclusive, copyrighted property of the YMCA. 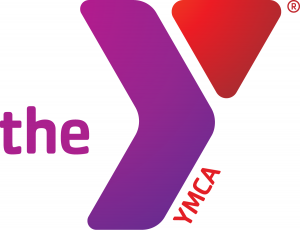 Pass-along usage of any of our materials for any purpose other than the direct support of the YMCA is prohibited.